I am running a 6 week drop in meditation group on Tuesday evenings 7-7.45pm at Truro City Hall, Municipal Buildings, Boscawen St, Truro TR1 2NE. These group sits are donation based. 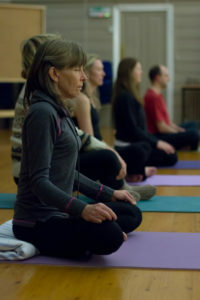 The group meditation will include brief instructions on how to use breath awareness as a meditation practice. I also invite anyone with an existing practice which differs to this to come along and share the space. We will sit for 20-30 minutes before taking a rest. After the meditation we can discuss, as a supportive group any issues which may have arisen. My intention is for this to be a supportive space to cultivate a new or existing meditation practice. For us all the be both the teacher and the student as we journey through the practice.